Every Canadian technology startup that’s delighting and delivering value to its customers, while creating a meaningful workplace culture, is a story worth sharing. Every entrepreneur earning the opportunity to keep the lights on another day deserves a high-five. I’m not big on picking favourites. So with a twist on the usual list-bait, here’s a look at the year that was by reflecting on the biggest issue, the biggest idea, and the biggest win. These words are homeless without the internet. Despite being 25 years old, the promise of an open and free internet seems like a pipe dream. The architect of the world’s information network, Tim Berners-Lee, believes that “we need diversity of thought in the world to face the new challenges.” Yet the social value of today’s internet is being challenged and undermined everyday by the actions of deceitful of governments and plundering corporations. I imagine being with my kids and marvelling at the beauty of a rainbow revealing itself after the dark deluge of a winter storm blasts through, and it passes as our conversation about climate change. Talk about fleeting and borderline delusional thoughts. I do imagine a world where our relationship with fossil fuels isn’t driving the climate change debate. Rather than just imagining how such a world will look, Dr. Michel Laberge and his General Fusion team is working towards delivering “the Promise of Clean Energy.” This is not only the biggest idea of 2014, but it’s possibly the most meaningful endeavour for our children I’ll never know. It was a shot in the dark, emailing info@ in the hopes in securing an interview with one of Vancouver’s more successful startup entrepreneurs. 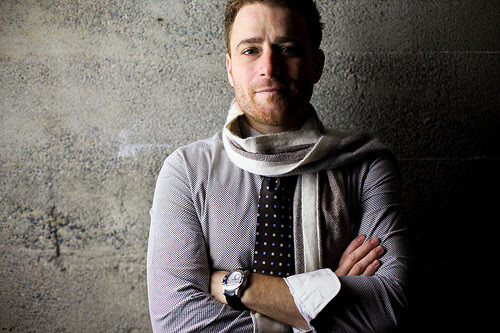 On the heels of raising $42 million in new funding for a business completely off my radar, I figured the odds of catching up with Stewart Butterfield to get the story of Slack was firmly entrenched between slim and negligible. Orange jumpsuits aren’t my idea of high fashion. I’m fond of suggesting good entrepreneurs have to be rule breakers, or makers of new rules. Just not breaking them to a felonious point. Being true to my word and breaking my editors rule, there’s a fourth Vancouver startup story that’s of the big “pie-in-sky” variety. When we talk tech moonshots, it’s likely Google X , or maybe Elon Musk’s Hyperloop will jump to mind. Imagine a world with abundant and clean energy with no pollution or greenhouse gas emissions. The team of 65 people at General Fusion can. 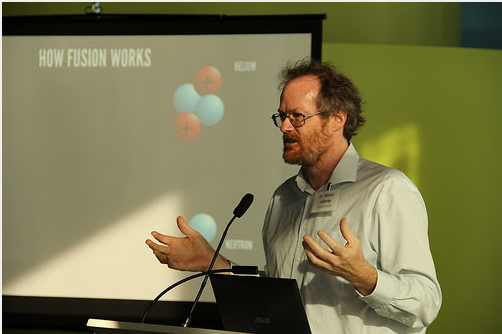 Recently the Telus Science World Equity Giving Committee invited some of BC’s tech community leaders to share an evening with Dr Michel Laberge, founder and chief scientist for General Fusion as well as a TED2014 presenter. This event also represented an evening of educational alignment between today’s leaders who care about helping foster the development of tomorrow’s technologists and scientists. It’s important noting that Science World is a non-profit organization playing an important role in the growth of the technology sector, by engaging youth at an early age. They’re inspiring a love of science, and showing them that sciences, engineering and technology offer an exciting and rewarding future. 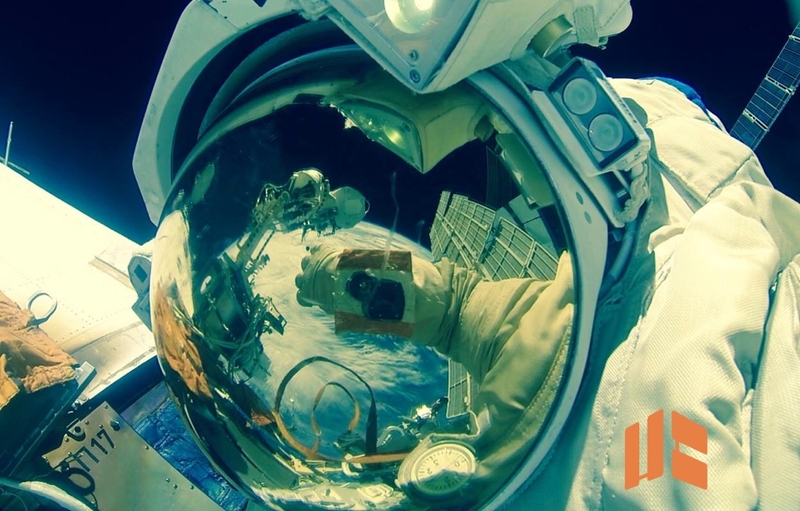 Science World is about helping generate the talent that will invent, innovate and lead companies in the future. The Equity Program is working with British Columbian technology and health science companies and their principals – professionals who know the pivotal role that science and technology play in developing the province – the program allows for individuals and their companies to either donate securities or to grant stock options to Science World. It’s been a journey about finding a solution to global melting because of our fossil fuel dependence that made Dr. Laberge a great fit for the evening. As well, having PhD from UBC in plasma physics, and using the mid-life crisis moment of turning 40 as a good reason to leave his position as a senior physicist and principal engineer at Creo Inc, adds to his story too. In terms of startup stories and basement science experiments (actually an old garage on Bowen Island, BC), it doesn’t get much better than this. Laberge shared how he started it all with a seed round from family, friends and the federal government, to build the first prototype. This is a David versus Goliath story too, as Laberge pointed out a variety of other Fusion projects are being worked on around the globe. Those projects also have considerably more money behind them, but a boatload of cash doesn’t always buy a winner, as Maple Leaf fans only know too well. 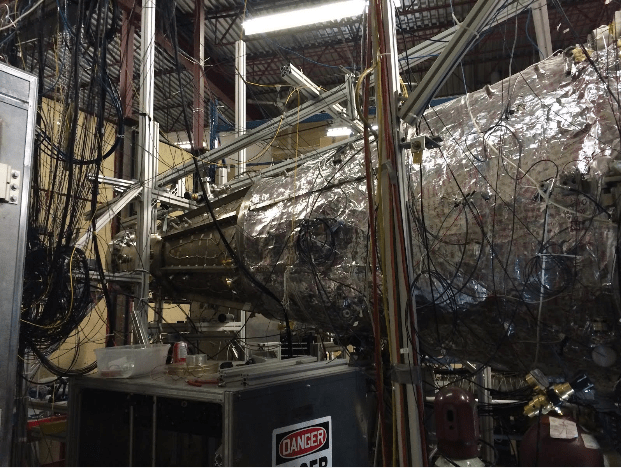 The challenge with fusion power, and the reason we don’t yet have it, is rooted in creating a system where less energy goes in than the amount of energy it generates. The science aside, there’s also the business considerations of building such a reactor to scale, and getting the energy onto the grid to actually power our neighborhoods. It’s about transcending scientific theory into reality, and delivering a clean energy solution that’s only pennies per kilowatt-hour. 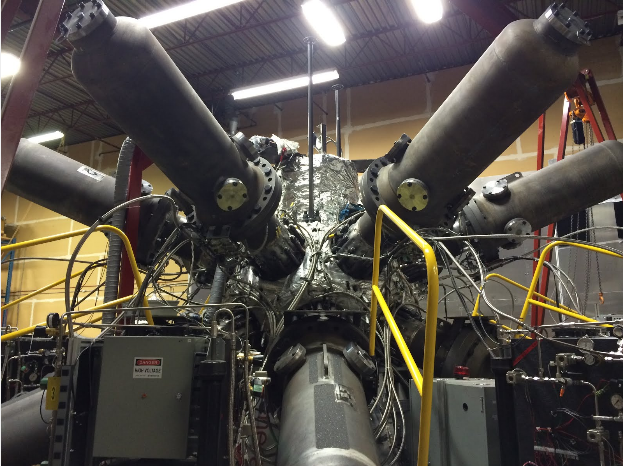 I’ve toured General Fusion and seen the prototype reactor. Needless to say, very complex engineering is needed to solve a very complicated science experiment. Rather that trying to describe how the technology works, it best to watch Dr. Laberge’s TED talk, or read Michael McCullough’s feature in Canadian Business. To date they’ve raised in the neighborhood of $50 million. It’s worth noting Amazon founder Jeff Bezos venture capital group, Bezos Expeditions, is an investor. I was told that Bezos has a keen personal interest in the company. There was nothing “pie-in-the-sky” about Laberge’s vision of the future. Progress is being made, but the day our cities will be powered by the sun’s fuel is still at least 10 years and billions of dollars away. *Disclaimer – I serve as a member of the Telus Science World Equity Giving Committee. 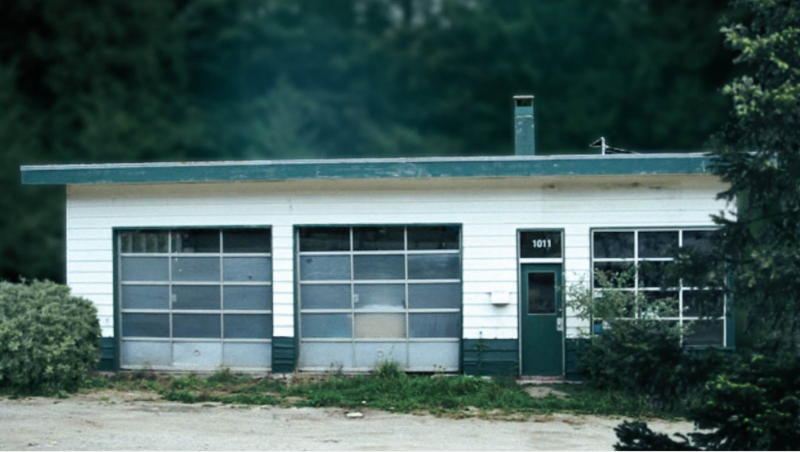 Is Canada Even In the Cleantech Race? The report of my death was an exaggeration.” James Tansey the Executive Director of ISIS, at the Sauder School of Business didn’t invoke Mark Twain when opening their first Clean Capital Conference in Vancouver. While clean energy investment has been in decline the past few years, it still saw $254 Billion flow into the sector in 2013. A decline in investment does not signal the death knell for the industry. These numbers don’t reflect the $6.8 Billion invested in Cleantech for 2013. The space is rebounding, reloading and reinvigorating itself. The sold out conference brought together entrepreneurs, investors,and business leaders from the clean energy and clean technology industries. Public sector policy makers who are charged with growing Canada’s clean economy were also in attendance. 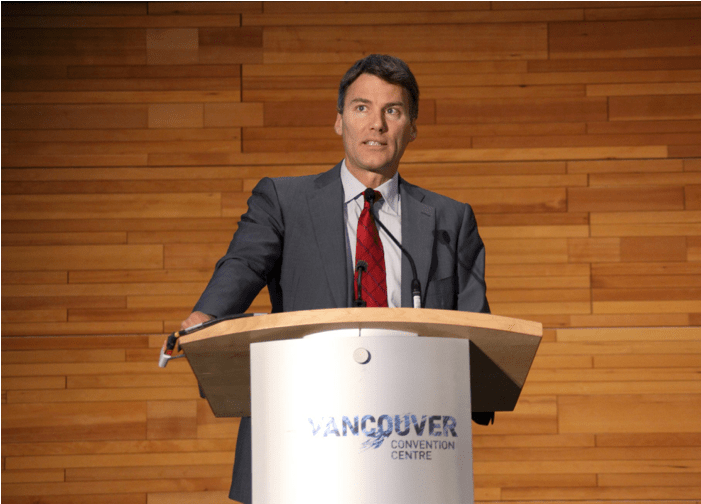 In terms of content, Vancouver Mayor Gregor Robertson started the series of keynote presentations and panel conversations. Robertson highlights the role that Cities need to play in leading clean and green initiatives. 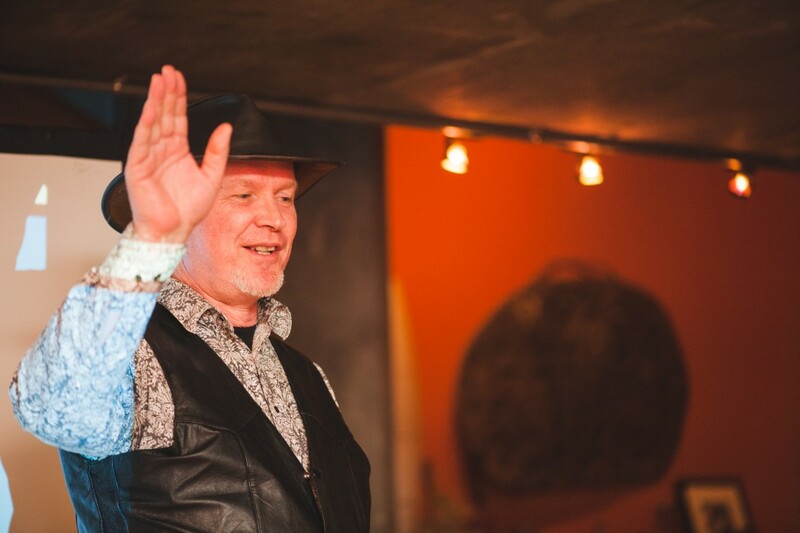 He says “rather than boosting fossil fuels, governments should be working with industry to reduce them and the emissions they create.” Robertson’s green credentials and vision have also earned him an invite to participate at the C40 conference in Johannesburg South Africa. He’s Canada’s only mayor with that distinction. Fresh off the recent $3.2 billion acquisition by Google, everyone appreciated the opportunity to learn more of the Nest story from their Director of Business Development Andy Baynes. Having started with the thermostat and CO2 detector, according to Baynes, “they plan on reinventing all of the homes unloved devices.” As well, he offers that in the past two years Nest has saved an estimated 1.5 billion kilowatts hours of energy. That’s equal to taking four medium sized gas fired power plants off the grid. The four panel discussions covered topics including, how cities can use their infrastructure and expertise to partner with the private sector to overcome the challenges in meeting their sustainability goals. 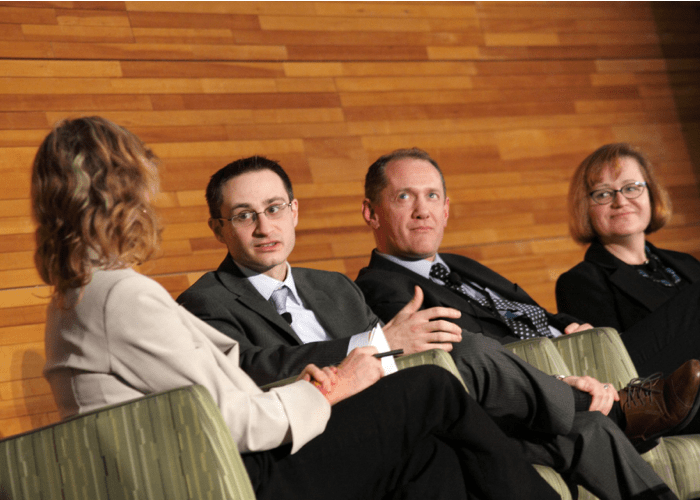 Cleantech is key to environmentally responsible resource development, which is also part of Canada’s Economic Action Plan, was a conversation. With the US pledging approximately $80 billion, and the U.K $3,8 billion (GBP) to sustainable energy projects, it was fair asking where Canada fits on the global stage. Near and dear to every entrepreneurs heart was a good talk about financing the growth of the clean economy. We’re in a global race of figuring out how to better use carbon. The only race that really needs winning solutions, is the human race. It’s entrepreneurs who are creating business models and business practices that are no longer about the extraction of value, but firmly committed to the creation of value is where we’ll all win.